We’d firstly just like to say a massive thank-you to everyone out there who has supported us by purchasing products from the Speedhunters online store in the past. Nothing makes us happier than seeing our stickers on your cars, and seeing people at car events wearing our t-shirts! With that said, we felt it was time to give our online store a bit of an overhaul. After all, if you’re going to support us and show your love for Speedhunting, we can at least provide you with the coolest stuff to do that with, right? We’re excited to introduce our all-new and improved online store – the Speedhunters Studio. It’s here you’ll find a range of items from the hottest automotive-related brands around the world, including our own Speedhunters Studio products, designed in-house. 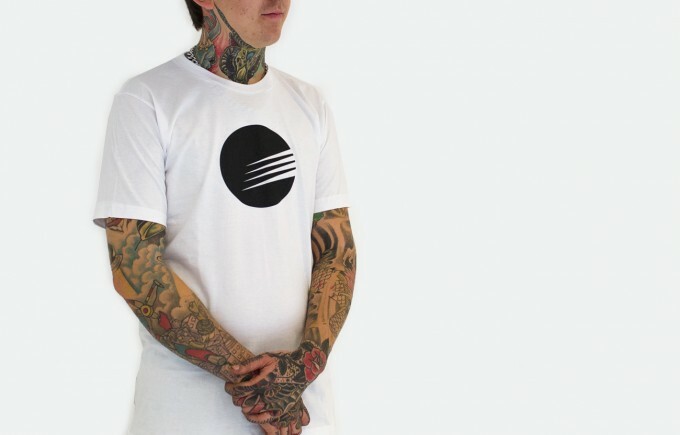 With the reopening of our store, we’ve also released a fresh selection of Speedhunters tees and stickers, based around our new shape with no restriction designs. What does this mean, you ask? It’s about having the freedom to enjoy the elements of car culture you’re passionate about, without feeling restricted. You’ll see these four shapes – a heart, shield, circle and square – featuring on our new products. 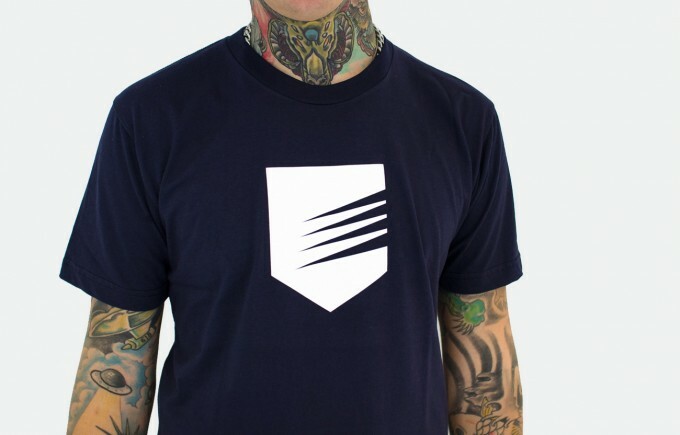 They’re simple and understated, and feature the same diagonal stripes as our Speedhunters logo. These symbols might not mean anything to the non-Speedhunting enthusiast, but when you see one of these on someone’s car, or perhaps on their camera or computer, you’ll know that they ‘get it’. 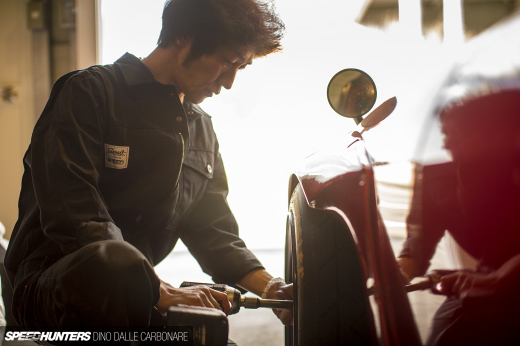 Loving cars is what we do – it’s our thing. Sure, there are times when you might seriously consider stuffing a rag down the fuel filler and striking a match, but it’s no secret that all of the best relationships have their ups and downs. The heart stands for blind, unreasonable love for driving, building and racing – even after you’ve run another bearing, thrown a massive tantrum and swore to all your friends that this is the last time. They know you’re lying, and deep down, so do you. The shield stands for tolerance. It’s about keeping an open mind, standing up for your own beliefs and not caring what people think. People within the car community are always going to have differing opinions and everyone is always going to like and dislike different things. But that’s what makes this world so fascinating, right? If you can’t express yourself, then there’s no point in doing what we do. Would cars be as cool if we didn’t have friends to enjoy them with? We honestly don’t think so. The circle is about community and enjoying our collective passion as one. Working on cars with our mates, getting involved in a bit of friendly rivalry out on the track, and hunting speed with friends, wherever you are in the world. Finally, the square represents power and strength. The adrenaline kick we get from raw torque and horsepower, the grin on our face when we nail the corner entry, the sense of satisfaction from the perfect seam-weld, and that feeling we get when we click the garage door remote revealing our beloved car sitting there, waiting patiently for us. It’s something that only those with a strong bond to their machine (or machines) will understand. As well as all of these new products, Speedhunters Studio is the place you’ll find everything from hats and keychains to windshield banners, model cars and camera accessories – all of the Speedhunting essentials. 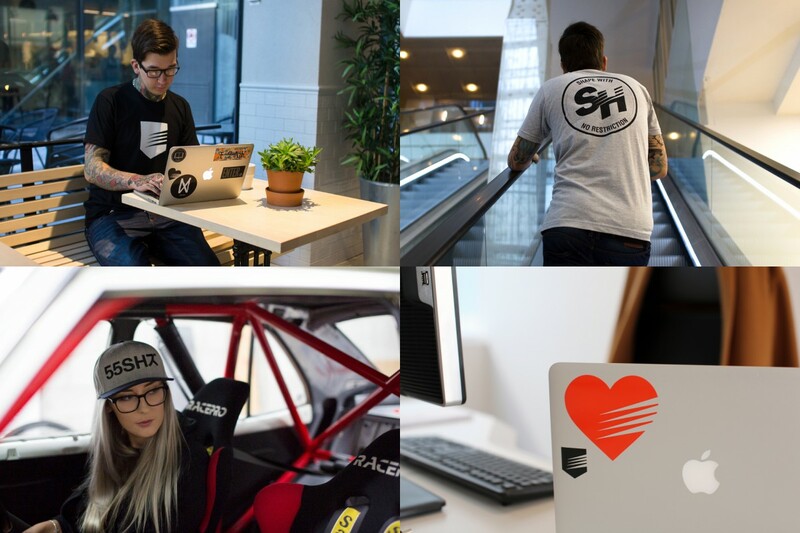 In the meantime, make sure to head on over to our all-new Speedhunters Studio store and let us know what you think! Speedhunters Yesterday i bought the Speedhunters Hoodie and Shirt in black. The square fits the Supra perfectly 2JZ Madness..! 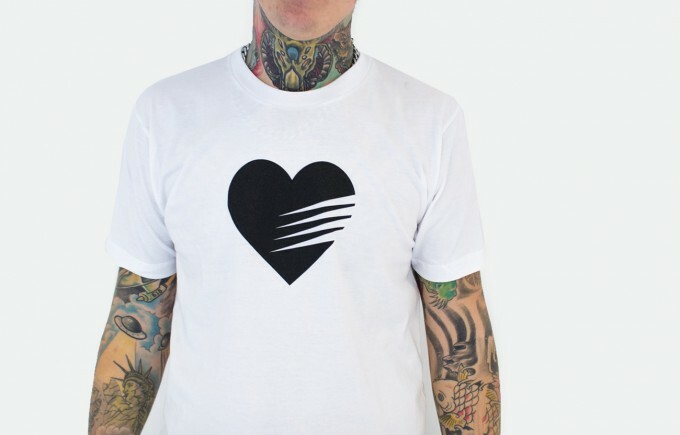 I gotta go for the heart shirt! Love and hate for long ongoing but in the end rewarding builds! I love the SH merch, and would actually consider purchasing it if shipping wasn't $50 for a few stickers and a hat. I get it; it's not your fault shipping is so expensive for international sales. 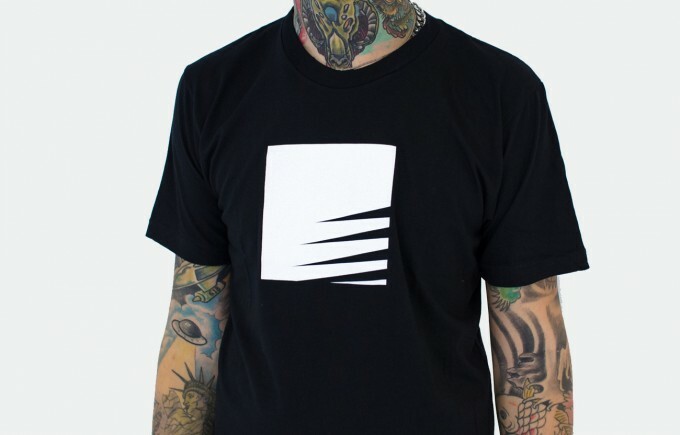 However, I'm really hoping the Speedhunters crew is finding a US-based shipping hub to distribute merch out of, because I know I'm not the only stateside enthusiast who wishes to represent their passion for all things automotive (and the people we call "family" who share that same passion), but cringes at the thought of giving twice as much money to the shipping companies, than we planned on originally giving to you guys. 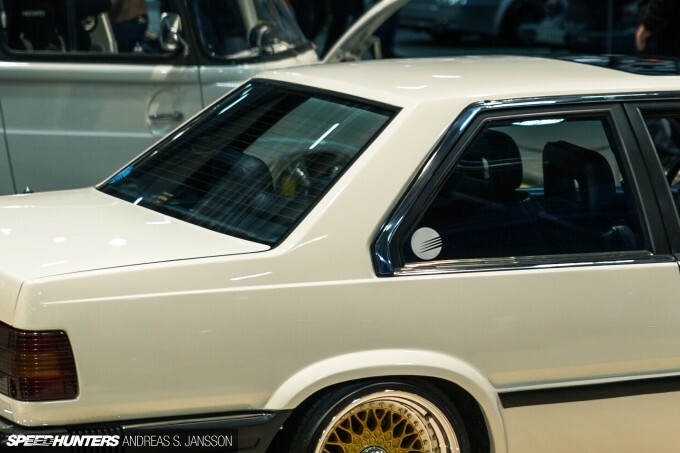 Until then, I'll resort to speedhunterhunting, in hopes to score some stickers, stories, and a handshake. 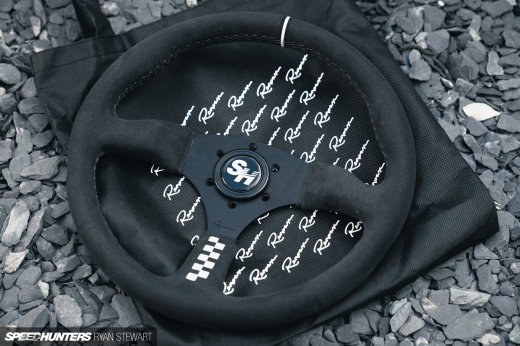 what does the 55 on the speedhunters snapback mean? Who that girl is, she got like a nerdy witch thing going on. Them stickers aint doing it, It looks like something you would see on a can of shaving cream, A gillette ad and them stripes is the stubbles. Holla atcha boi lol that is your "community manager". We are the community. Taryn manages us. Holla atcha boi Slappy_Pistons We so managed. Are you stocking sizes for people over 12 yet? @dobby I think its supposed to mean "go go", so like go go speedhunters or something. JonathanW I don't think anybody minds speedhunters selling gear, but that this is pretty cringe worthy gear. Am I the only one who was expecting an article on the speedhunters office ?? Here's are 2jz water cooler !!! 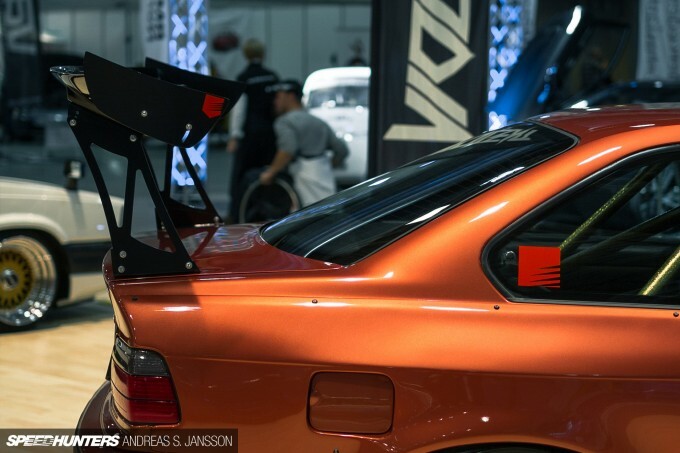 "This is the cage where we keep aasbo off season"
.....This article just makes me want to work and write for Speedhunters even more. 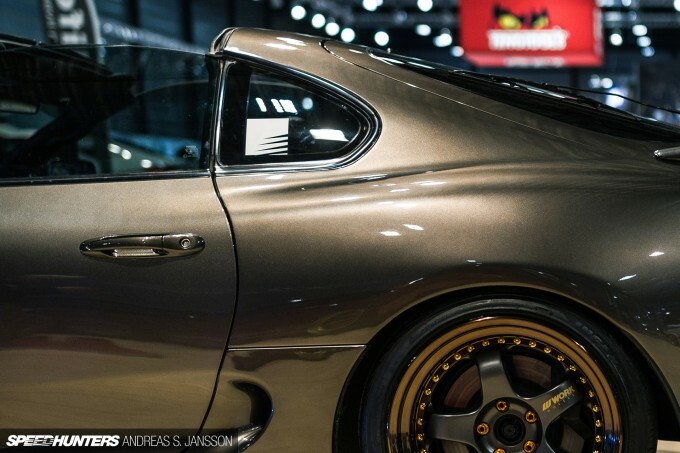 the wheels on that supra took my breath away. steveluett Thank-you Steve! We hope you enjoy them! Speedhunters Killing it - Merch with meaning! Really love the work the SH Team does to promote unity and humility within the community. Jobby JonathanW So shirts, hats or stickers with either a Square, a Circle, a Heart or a Shield on them... these are things that cause you to cringe? At least nobody is forcing you to buy any of them, and nobody is going to "sad-face" if you decide not to. Personally, I like the stickers simply for the fact that I can support the Speedhunting community without having the word "SPEEDHUNTERS" in large lettering on the side of my already very conspicuous, "police officer magnet" of a lowered, loudish sportscar. did your shipping get any cheaper? i stopped purchasing because if i just want to buy a shirt the shipping cost more than the shirt lol! please tell me you've resolved this issue so i can begin to start buying from you guys again. Rival Machine We have been able to get the shipping down for the relaunch. However, we are reading the comments and we have noted that we need to dig deeper to find a better solution. Linus J You can contact the photographer via http://andreasjanssonphotography.shootproof.com/ for more photos. azmedaj We have some very special things coming up for Black Friday. Isn't the 55 reminiscent of the Diesel brand - 55dsl.com ! We should all know by now that SH is owned, funded and operated by the powerhouse that is EA Games but come on guys surely you could have penned something better than those four ideas, who got sacked as the new guy needs shooting, or has the creative arm simply run out of ideas? Previous SH wear was ok but decided not to buy any because of the prices, these days the items shown in the store cost so little to produce (even in good quality) that I didn't feel comfortable paying for these prices (and the over inflated postage costs) for such items simply to have a website name / logo on them. Ok we pay good prices for Monster, Red Bull etc., wear but these companies have a true hands on lifestyle and invest heavily in many areas of entertainment and value with their own hard earned cash so its justifiable in a way, SH wear is only promoting a few guys and gals taking some pics and writing a few columns via a blog yet charge extortionate prices to the committed followers for the privilege of being a fan of a car blog. It just don't seem fair or right to be charged so much for these items but no doubt the SH workers (and a few fanboys) will unite in telling me I am totally wrong and its all justified, but then they would wouldn't they! That's some pretty cool brand work right there, hat tip to the whole team! Hey man, dont be disrespecting the manager. She got her own style going on, thats what all this site be on about. I got some input on them logos. Put the "SH" lettermark inside them shapes " The shield circle", and all that, otherwise its too much less is more, nah mean. Should chosen a single shape and stuck to it. Having 4 is diluting your brand and no amount or marketing "The square represents blah blah..." no it doesn't, it's a square. eejjkk Jobby JonathanW The designs themselves are fine, it was the explanations of what each of them represented that were cringey. Just ordered a windshield sticker. Taryn Croucher As in 5586? I like the new designs. Great job. Haters who don't like the new merch can keep wearing thier free Motor Trend swag from the trade show. I agree with some people that you need to find a U.S. producer so shipping etc can be cheaper though. Can we shop with our debit cards? The <3 on a stanceshit VW is ironic. Taryn Croucher Don't get me wrong the items you sell are of a good quality but the per item prices and shipping costs are extortionate in these times of global production and retail. Also Taryn what is the logic behind using a UK based company to produce and sell your wares globally when everyone knows the base per item costs and shipping are so high within / from the UK, I know of many other similar business's who have merchandise supply partners in another country to where they are based producing and shipping goods globally at a fraction of what SH are probably paying for / selling at. Other smaller guys, like yourself, simply invest in machinery (not a vast investment required) and operator to control it in-house allowing greater control, scope and improved profitability. I thought you would be aware of the 55DSL brand as it was in NFS Carbon? And I have to say the new designs are somewhat growing on me. 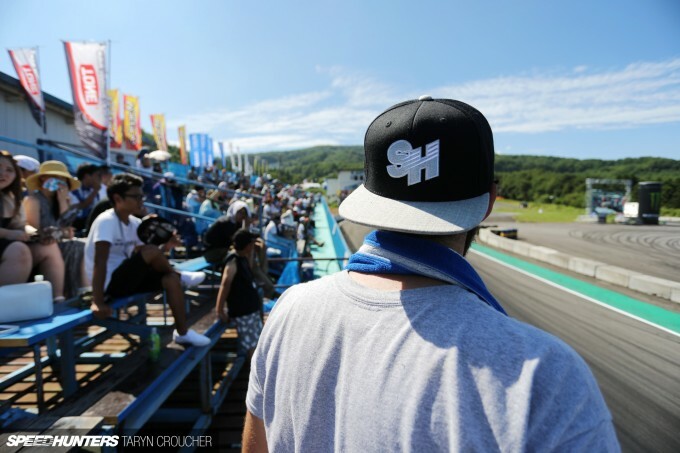 Dude, you dont need a fire-breathing 600hp+ car to become a Speedhunters fan.